Jasper T. Scott: Review: The Forever Gate 2 was Brilliant! 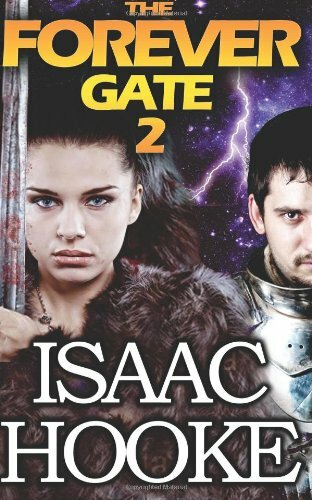 The Forever Gate 2 by +Isaac Hooke was a great follow-up to the first book in the series. Here the mystery of the "Outside" continues, but now we are given a glimpse of just what that outside looks like. The characters are more fully developed in this book, now with the focus shifting to Hoodwinks' daughter. Every chapter has something suspenseful happening, making the book was very hard to put down, and Isaac's writing style flows like few others. To top it all off, the editing was superb. As a fellow Science Fiction and Fantasy author, I was able to honestly say upon finishing Isaac's first two novels that there's a lot to admire about his books. And as a reader, I was able to honestly say that I was never bored and never disappointed. Forever Gate 1&2 were both a very entertaining read! These books are a must-have for any Sci-Fi and Fantasy fan. The only negative thing I have to say, is that we still have to wait for Forever Gate 3!